When the markets turn volatile, individuals with money and savings tend to seek out safer places where they can stash their hard-earned cash. Naturally, people from all across the globe have started to turn towards online banks that allow high yield savings accounts as they provide them higher returns on their investments, which is roughly five to ten times greater than what traditional brick and mortar banks have to offer. This is perhaps the primary reason why investing in a high-interest savings account is becoming so popular these days! In a world where people are spending more and saving less, the availability of high yield savings account can motivate them to stash their money in a suitable bank. Simply stating, a high-yield savings account allows you to earn much higher interest rates than traditional banks. Generally, conventional banks pay an interest rate ranging from 0.01% to 0.03%. 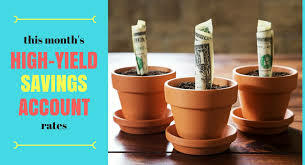 High-yield savings accounts, on the contrary, commonly offer interest rates ranging anywhere from 1% to 2.2%, depending on the type of bank you choose to invest your money. Keeping the inflation-related perspective in mind, high interest savings can help you cope with the rising inflation. Since online banks have lower overheads, they can afford to give their customers higher interest rates. Where traditional banks generally have a monthly fee structure, online banks literally charge no monthly fee at all. Plus, opening a high yield savings account is relatively quick and easy. Also, it doesn’t have a requirement to maintain minimum balance or deposit. If you are interested in knowing more about high-yield savings account, then Ike can provide you the insights and elaborate more on the benefits of opening a high-yield savings account.